August, 2015 — Zaplox, a market innovator of advanced Mobile Key Services for the global hospitality industry, has integrated its solution with SALTO Systems, providing hotels and their guests with unmatched convenience and superior satisfaction. As a result, Zaplox will be the first Mobile Key Services company to announce its integration with SALTO Systems. This strategic global partnership allows any property with SALTO BLE (Bluetooth Low Energy) enabled locks installed to easily implement mobile access functionality for their guests, while experiencing the unique operational benefits that Zaplox Mobile Key Services provide. 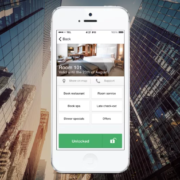 Through the new technology integration with Zaplox, guests of properties with SALTO access control systems will now be able to use their smartphones for guestroom access, while allowing hoteliers to offer and promote revenue creating smart services with full customization and hotel branding on the Zaplox Mobile Key Services app platform. This wide range of ancillary services, which can be made available in the app, includes mobile check-in and check-out, room upgrades, restaurant bookings, room service, special offers and more. The user-friendly Zaplox Mobile Key Services app is easily downloaded and available for all major smartphone platforms. With recent industry research indicating that more than 70 percent of travelers would opt to use their smartphones as a check-in alternative, Zaplox Mobile Key Services allow guests to bypass the front desk altogether, saving them valuable time. Additionally, mobile keys are highly secure, since a guest’s smartphone is less likely to be misplaced than a plastic keycard and typically is password protected. Should a guest lose their phone, mobile keys can easily be revoked and reassigned in real time by hotel staff. In less than 10 years, SALTO has become one of the world’s top five manufacturers of electronic access control systems. SALTO has a strong tradition of delivering the latest in guestroom access technology and has launched a series of innovations since its founding, raising the bar of guestroom security to new heights. 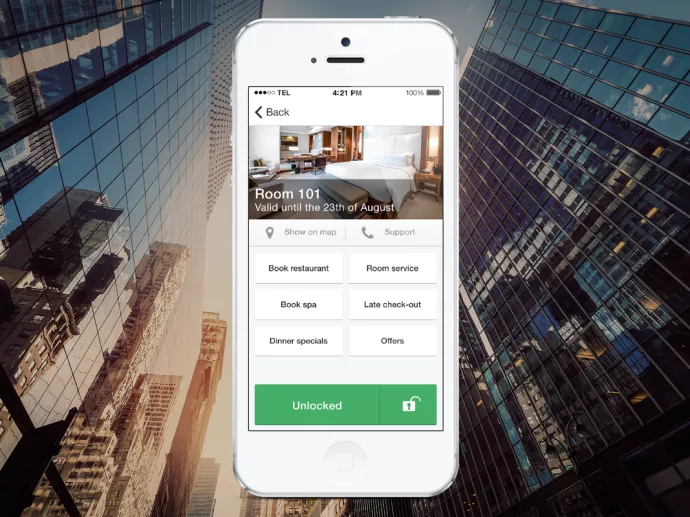 By combining SALTO smart locks with Zaplox Mobile Key Services, hotels benefit from enhanced cost efficiencies through streamlined operations and revenue opportunities, allowing front desk staff to focus on other aspects of guest service and communication. About Zaplox – Global Provider of Mobile Key Services | Zaplox operates globally, offering hotels and other commercial facilities efficient and secure mobile key services for opening doors with smartphones, in combination with revenue making services, all in one app and service platform. The solution from Zaplox has been in commercial use since 2011, and is installed in hotels, holiday dwellings and offices. It is easy to use and works on all major smartphones, in both Apple and Android platforms. The Zaplox solution can support major locks, hotel systems and access systems, and can replace or coexist with key cards, code locks and physical keys. Zaplox was founded in 2010 in Ideon Science Park Lund, Sweden, and is established in Europe and North America. For more information, please visit www.zaplox.com. About SALTO Systems | We’re driven by innovation. Guided by our insights into customer needs, we deliver industry-leading, next-generation electronic locking solutions without wires and without mechanical keys. Since 2001, SALTO has been redefining the access control world by continually being first to anticipate market needs in a rapidly evolving marketplace. We set new standards in security, manageability and scalability. SALTO’s pioneering SVN platform provides stand-alone networked locking solutions. With its online and real-time technology, our market-leading XS4 platform enhances the usability of every building environment by securing virtually every door and enabling the monitoring and control of every user. Salto hardware and software can be networked without wires to provide real-time intelligence and instant control, whilst enabling integration with existing systems to improve manageability and enhance end-user experience. Having revolutionized access control around the world in sectors where security is critical – from airports and healthcare to government education and hotels – we continue to deliver the most advanced and flexible electronic locking solutions in the market.